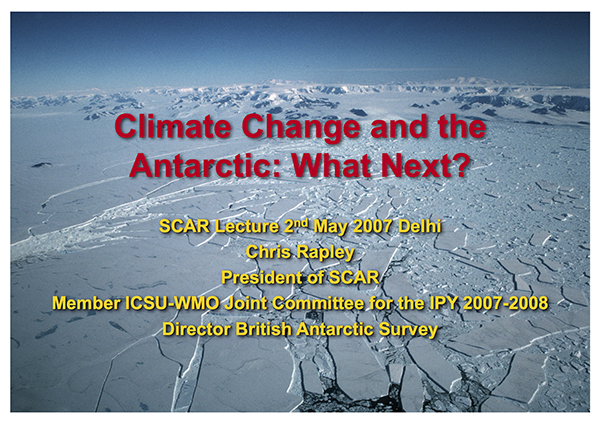 SCAR Lecture 2007: Climate Change and the Antarctic: What Next? IP124: SCAR Lecture Climate Change and the Antarctic: What Next? See also the pdf overview of the slides (IP124) (408 KB) . Attachment 74 ( pdf ATT074 (247 KB) ) contains the same overview of lecture slides as IP124.